Ramakrishna’s incredible aptitude for inner experience and his discovery of the mystic unity of religions are well known. Here are the stories of the finest flowers of his spiritual garden. 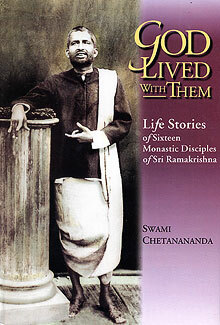 Five of Ramakrishna’s monastic disciples lived and worked in the West for periods of up to twenty-five years. They built bridges between the ancient and modern worlds and laid the foundation of India’s largest philanthropic and monastic organization. God Lived With Them is a masterful blend of scholarship and devotion. What ’s more, it has a subtle transformative power that lifted me to a state of exquisite joy. And why not? 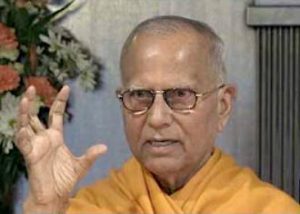 I had been in the company of sixteen spiritual giants who charge the pages from beginning to end with the divine fervor that Ramakrishna awakened in them. Don’t miss this wonderful book. Told in a lively, fresh manner, these are intimate accounts of courageous lives dedicated to selfless service and attainment of the highest Goal – Liberation. 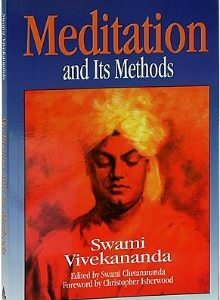 No spiritual library will be complete without this fascinating account of modern Vedic mysticism. 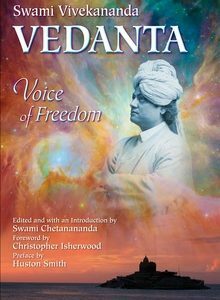 Congratulations on this very fine volume…To know more about Sri Ramakrishna and to see the impact of his life and message on his early disciples is a great resource for all of us who care about the spiritual life. 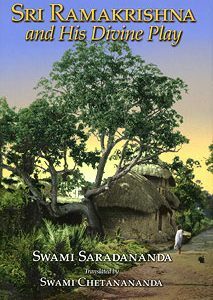 Swami Chetanananda’s new book offers revealing sketches of sixteen of Ramakrishna’s monastic disciples that testify to their Master’s great powers as a religious teacher. Many delightful and, to this reviewer, new stories and quotations await the reader of this book. Some are moving and deeply profound. Others give a human, often amusing dimension which rounds out these full-bodied portraits. In a short time one feels touched by the particular personality of each disciple, and often when death comes, a painful loss, as of an old friend, is felt. Once, during my morning walk, I decided to visit Sarnath. I had no previous plan to do so. After arriving there on foot, I looked around. While I was there, a guide informed me that there was a stone image containing carvings of Buddha’s entire life story from his birth to mahaparinirvana [death]. The guide accompanied me there. While looking at the image I had a wonderful vision. I saw a formless ocean of light, and the whole universe was gradually merging into it. Like a speck, I was watching that blissful glow with wonder, standing on the shore of the ocean of light. I was beside myself. Then in the twinkling of an eye the universe completely disappeared; and from the ocean of pure consciousness the compassionate, loving form of Buddha appeared. What a joy! Even now while describing it, I feel that joy. I was in that state for some time. Then I heard the guide’s voice, “Let us go forward, let us go forward.” Gradually I regained my normal consciousness. The guide thought that I had fallen asleep. I followed the guide, but I was extremely intoxicated. In the afternoon when I returned to the center, the monks asked where I had been and said that lunch had been saved for me. I didn’t tell them where I had been: I only said, “I don’t feel like eating now.” I quietly went to bed. That blissful intoxication continued for three days.